Lotus Notes Client – R.I.P. There is currently a big discussion in the community about the future name of Lotus Notes. Will it keep its name or do we end up with something like IBM Notes? Nobody knows yet, even IBM don’t es Ed Brill states in his recent blog post. You can find my opinion in Eds comments (No. 40). Anyway, despite of the name of the product were is Lotus Notes heading? Look at the new features that have made their way into the client. Those are at a high percentage level XPages features. Now, XPages don’t necessary need the client, do they? There is something like XPiNC that allow XPages applications to run in the Notes Client. I personally do not see the advantage to let XPages apps run in the Notes Client instead of a web browser. The XPages train has just left the station and started to roll. Business Partners and the Lotus Community start to develop new applications on xpages. GBS is convinced that there is a huge market for their transformer application which „transforms“ standard Lotus Notes applications to XPages apps. Big customers (at least in Germany) have opened up projects to get their Lotus Notes applications moved to XPages. Business Partners will get their apps redesigned as well to not fall behind. People are beginning to use the cloud. This train can not be stopped anymore. 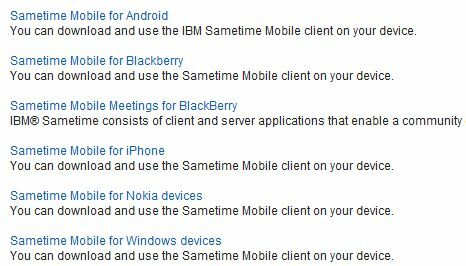 This leads to the question: What’s with the Lotus Notes Client? Do we still need it? Yes we do, at least for a few more years to come. It’ll take some time to get all applications XPages- or web-enabled. We are not talking months, we are talking years. But to me it is quite clear that the Client will reach it’s end soon. Rest in peace TBD Notes!